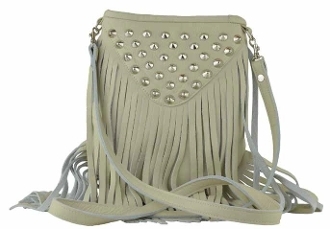 JJ Winters style #391 Studded and Fringe Favorite! Just the right size... Amazing in Suede or Leather !!! Custom Special Order the Color you want now!!! Coupon Codes can be used on our sale price on all custom JJ Winters Bags!